Roads, paths and car parks marked in blue on the map are open to the public; those in red are private and accessible by permit only. Note that access gates leading to Nunnery Point, Moreton and Wick Green Point are locked outside the fishing season. Please click here for access and permit details. 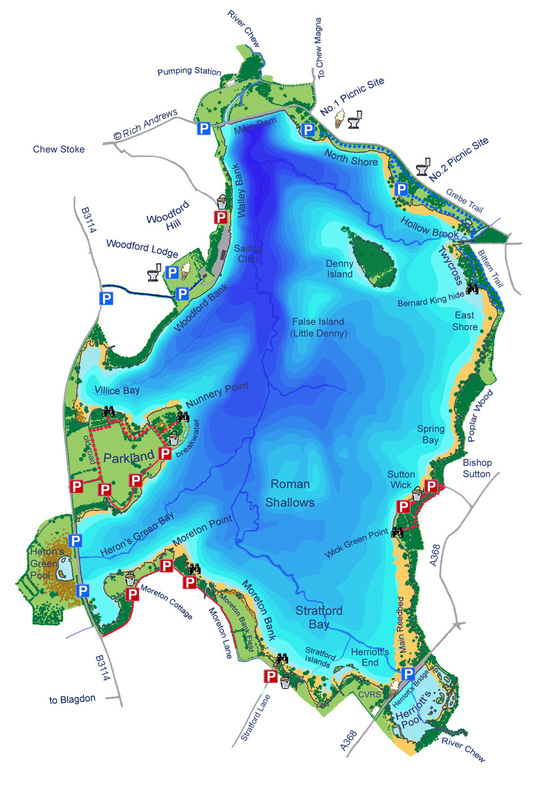 Please click here for more printer-friendly maps of Chew and Blagdon from the BW website.